We're not dissing Instagram's explore feature—in fact, the concept is incredible—but lately, we can't help feeling that the as-yet-undiscovered suggestions being thrown into our personal social media spheres are somewhat repetitive and fairly literal. Just because you looked at the live action from behind the scenes of the Victoria's Secret show doesn't mean you will forever be searching for pictures of girls in underwear, you know? As you'll no doubt be aware, the team at Who What Wear discovers the early signs of many a fashion happening via some extensive scrolling (take that runaway H&M shirt, or the silver boots at Topshop), so we thought we'd enlist our HQ's combined Instagram secrets in order to act as a kind of rogue branch of the platform's explore section. We are ready and willing to share, because one shouldn't be selfish when it comes to spreading the "likes" around this fashion planet. So if you want to discover a fresh batch of handles to pore over this week or you're looking to restock the shelves of your feed after a cleansing cull, here is an excellent place to start. There's much inspiration to be found from these under-the-radar handles you haven't discovered yet. Follow for: A constant stream dedicated to ear parties past and present. Follow for: Incredible archive images that define the most important celebrity moments of the past few decades. Warning: This is addictive. Follow for: An avant-garde peek inside the world of this beauty wunderkind—the extra-creative Isamaya Ffrench is the most exciting talent in makeup right now. Follow for: Pop-tastic illustrations including these geisha-inspired Rihanna artworks, which the star actually regrammed. Follow for: Handmade Spanish shirts that are surely the dream for casual girls everywhere. Follow for: Ultra-pretty shots from the street, collaged together for extra interest. Follow for: Indulging in your "ugly shoe" fanaticism. This is our new footwear obsession. Follow for: Seriously high-octane fashion editorals, and the inside track on this stylist's glamorous lifestyle. Follow for: An obsessive—and entirely thorough—back catalogue of fashion imagery that exhausts different themes (like pleats, puffa coats or black), one at a time. 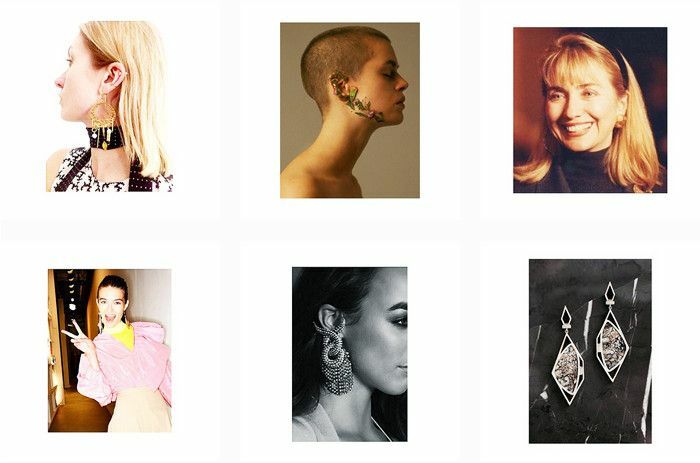 Follow for: The final word in the coolest new accessories, from two UK Harper's Bazaar girls. Follow for: Ironic parodies of recognisable logos, flipped on their head to a very sassy result. Follow for: Excellent outfit shots and oodles of pink from this burgeoning style star. Follow for: Print inspo via this designer's delicately illustrated furnishings and accessories. Follow for: Flares. Cheesy retro ads. More flares. Follow for: Lots of #urbanjungleblogger moments. This graphic designer is your woman for greenery. Follow for: Bizarre and brilliant mashups created out of London's free magazines. Follow for: Modern conscious living inspo—with a brand and store to come. Next up! 22 of the best street style websites that will give you even more outfit inspiration.